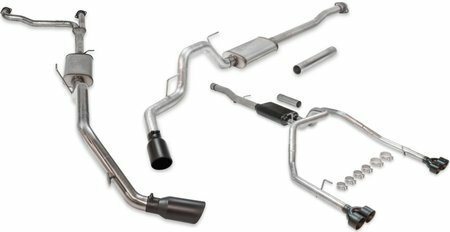 Holley is pleased to announce the release of three new Cat-Back Exhaust Systems – one for Dodge Challengers, one for Jeep® Wrangler TJs, and one for Chevy Silverados and GM Sierras. Flowmaster FlowFX Dodge Challenger Cat-Back Exhaust Systems deliver a moderately aggressive exterior and interior sound level and all the performance benefits that you've come to expect from Flowmaster. 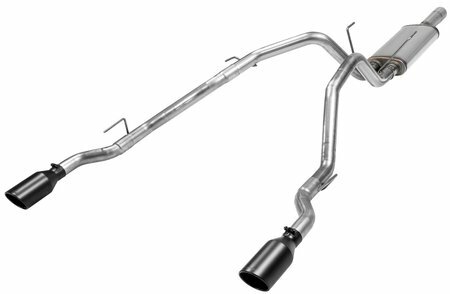 Designed specifically for 2017-19 Challenger R/Ts and TAs with 5.7L Hemi V8 power and factory active exhaust valves, they feature mandrel-bent 3-inch stainless steel tubing, a Scavenger X-pipe crossover, dual "straight-through" mufflers, and four 3.5-inch black-ceramic-coated 304 stainless tips embossed with the Flowmaster logo. 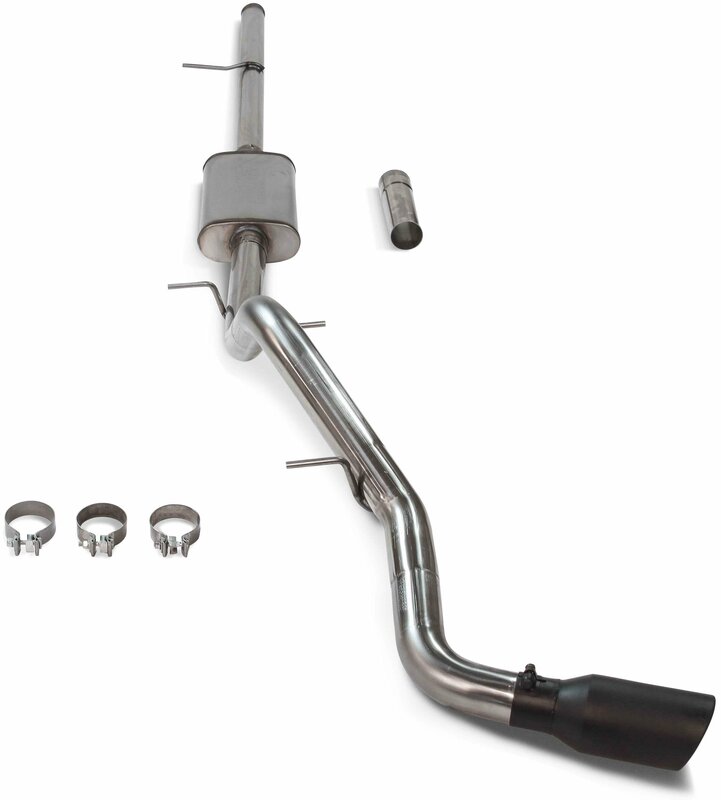 Flowmaster FlowFX Jeep Wrangler TJ Cat-Back Exhaust Systems feature stainless steel construction for maximum durability and bolt right up to the factory flange. 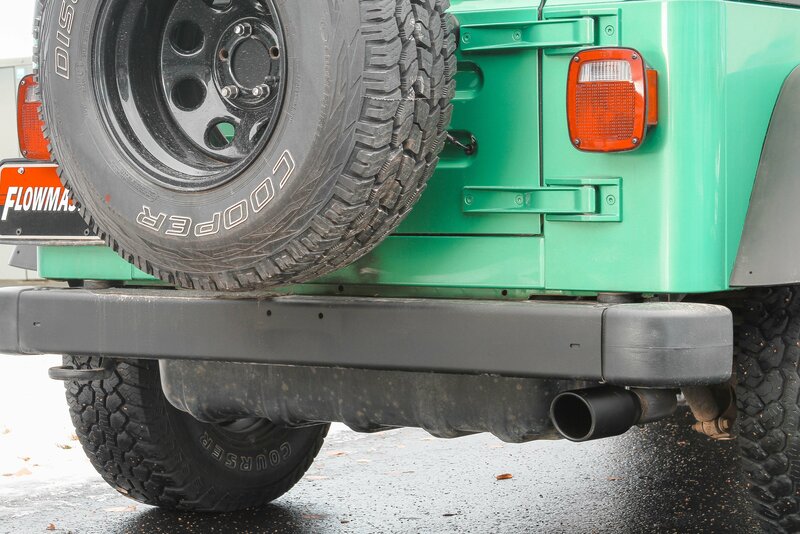 Created specifically for 4.0L 2000-06 Wrangler TJs, they come with a 2.5-inch "straight-through" performance muffler tucked up high in the undercarriage to prevent it from being crushed when you traverse rocky terrain. 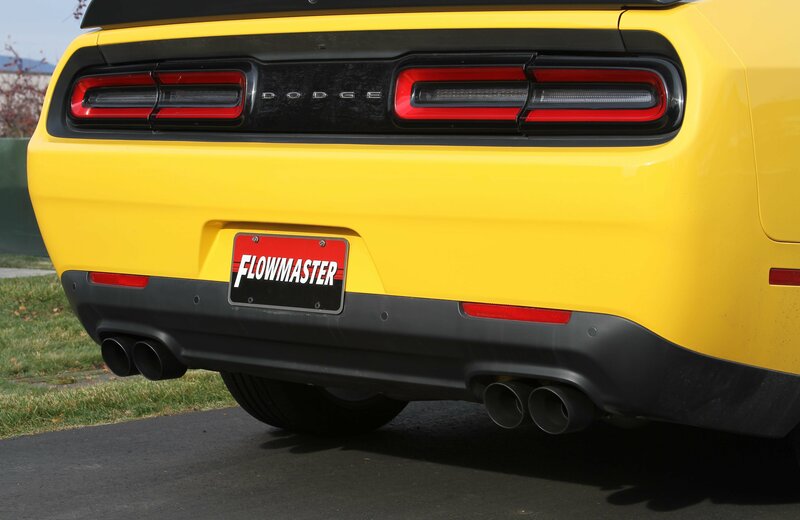 A 3.5-inch black-ceramic-coated stainless steel tip embossed with the Flowmaster logo finishes off the system, which uses factory hanger locations for a fast, easy at-home installation. 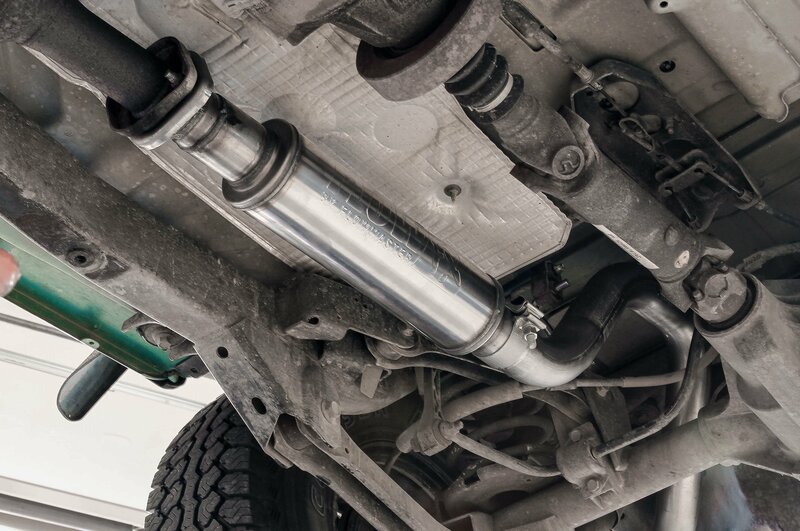 Flowmaster FlowFX GM Silverado/Sierra Cat-Back Exhaust Systems fit both 2- and 4-wheel-drive models with 148- or 157-inch wheelbases. 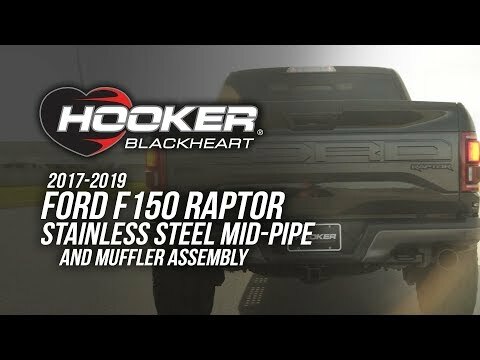 Developed specifically for 2019 Chevy Silverados and GMC Sierra 1500s with 5.3L powerplants (not 2-wheel-drive crew cabs or trucks with factory dual-exit tailpipes), they're made entirely of 409 stainless steel for years of trouble-free service. 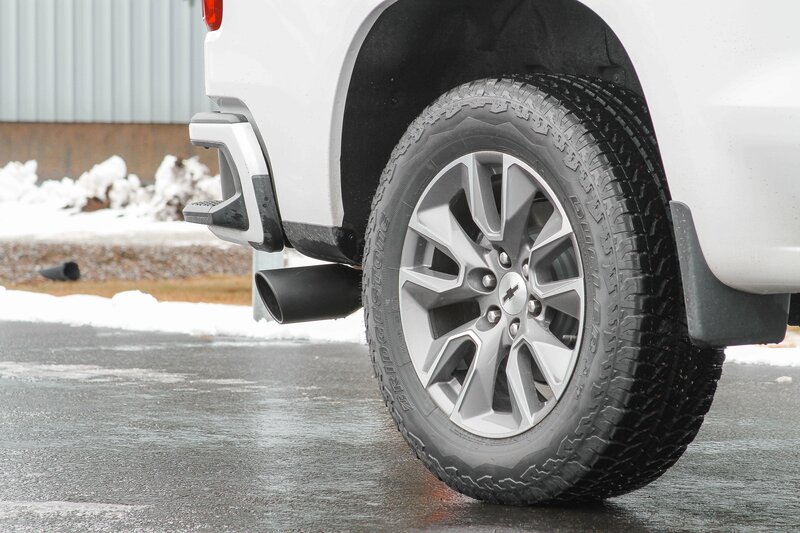 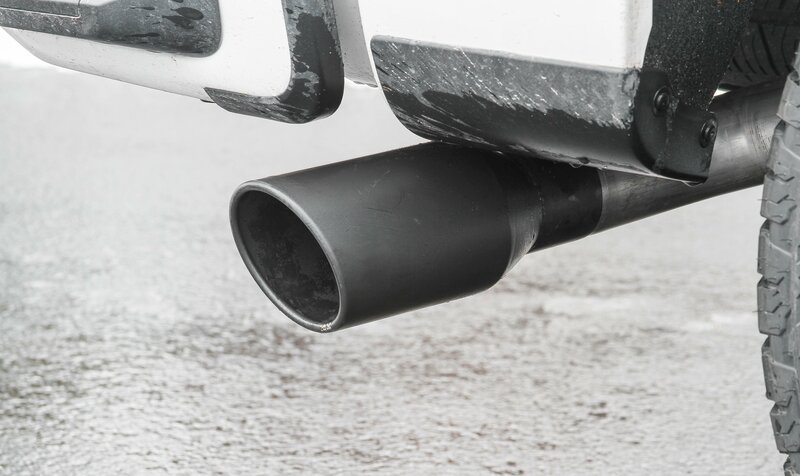 They feature a 3-inch inlet pipe, a straight-through muffler that delivers a deep, powerful tone, a 3-inch mandrel-bent tailpipe that exits behind the rear passenger-side tire, and a 4.5-inch-diameter black-ceramic-coated 304 stainless tip. 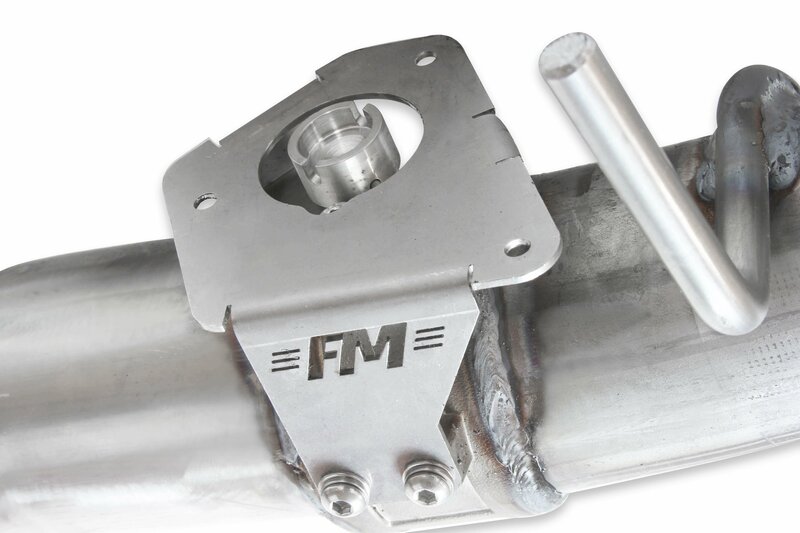 The system is fully compatible with stock hanger locations and comes complete with detailed, easy-to-follow instructions and all the necessary hardware for a hassle-free installation. 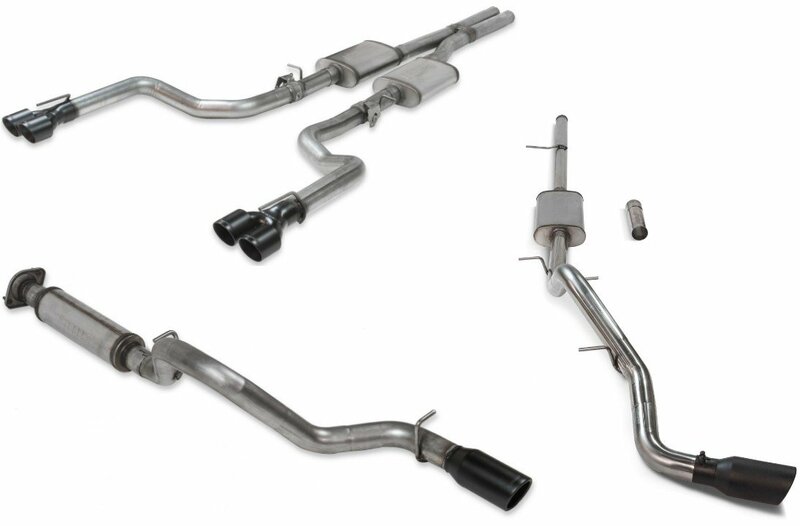 An American Thunder system is available for 2019 GM Silverado/Sierra 1500s and FlowFX systems are now offered for 2015-19 Ford F-150s and 2017-19 Nissan Titans. 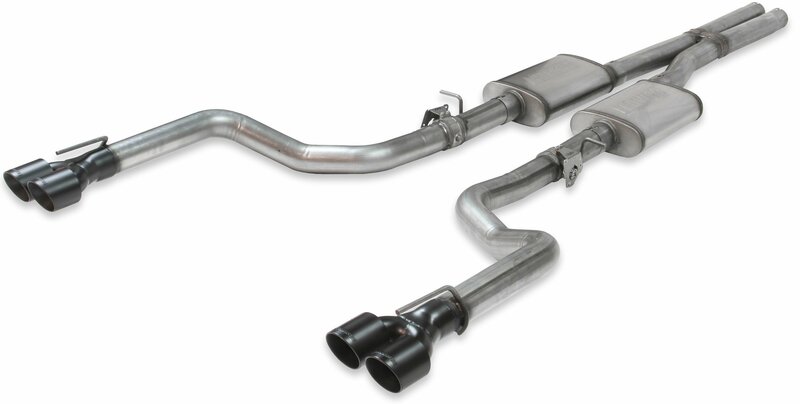 They're perfect for 5.7L Hemis, made of stainless steel, and require no cutting, welding, or fabrication.